When you get here you might find yourself saying ‘where’s the sweet and sour?’, ‘where’s the succulent beef in black bean sauce’? 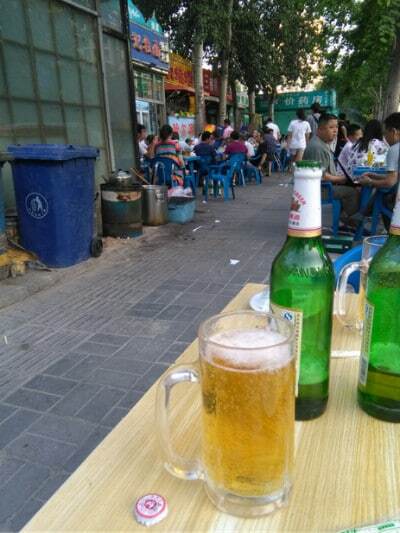 I’ll tell you where – in the little unseen understated restaurants with plastic picnic chairs and tables outside, where the rice is 2RMB/£0.25/$0.30 and a huge beer is 6RMB/£0.70/$0.90. There are two reasons most people don’t go to these places; they look unprofessional and sometimes a little grotty. If you’re on a tour you will be going to the most expensive time honoured restaurant within a 10 mile radius. If you’re looking for an authentic Beijing experience, then you really need to let down your guard and leave the fancy places well alone! One of my favourite dishes, I seriously thought this was a British invention – very much like British Indian food is not Indian at all. Turns out it’s not just authentic Chinese, its better too (if you can believe it). These are small squares of lamb seasoned with cumin, salt and various other spices depending on where you go. Extremely popular and famous in Beijing, these little cubes of delight have received the acclaimed “Jade’s personal favourite” award. If you step one street to the right or left from the tourist places there are hundreds of little trough BBQ’s serving these up. Each skewer will only set you back 3RMB/£0.35/$0.45 so pile them up! 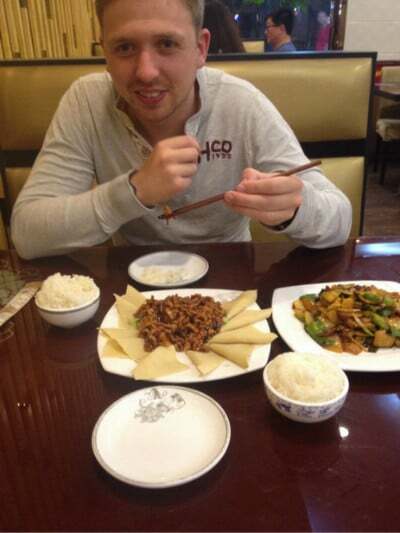 My personal favourite food in Beijing, but one of the most varying meals from restaurant to restaurant. What is quite refreshing in Beijing is that you can ask for exactly the same meal in restaurants 10 metres apart and the food tastes massively different. It gives the Beijing food experience a little more excitement by avoiding the repetitiveness and predictability of some western cuisines. 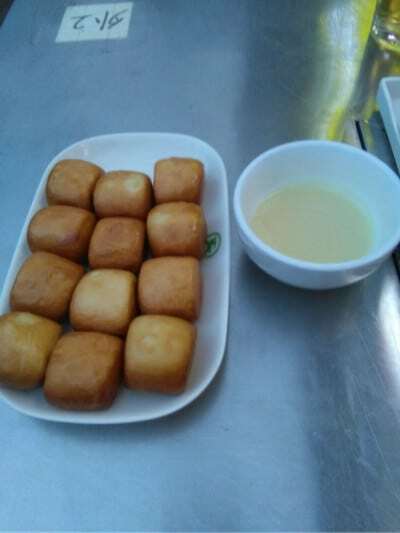 These small, deep fried dough balls served with sweet condensed milk. If anyone has ever told you there are no desserts in China then order some of these up and prove them otherwise. Don’t get me wrong, there might be only one dessert worth trying but who needs two with how good these are?! From the picture you can see that’s it’s a little shiny so don’t think about your cholesterol whilst piling this back. Nevertheless it’s gorgeous and moreish and luckily you’re always going to get a plate the size of this one. 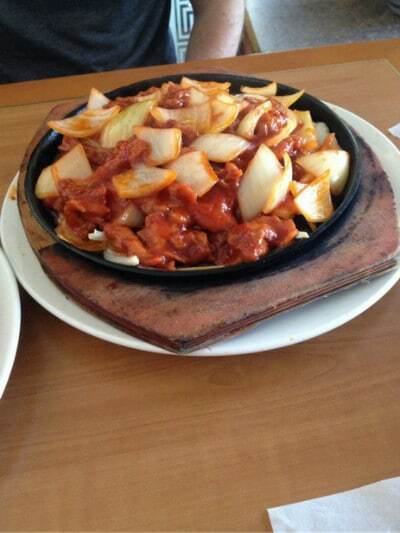 The pork is meant to be wrapped up in the tofu, a little like a duck pancake. However, just between you and me I have never wrapped the meat up in those beige looking rubber squares, and it’s still one of the best kinds of food in Beijing! 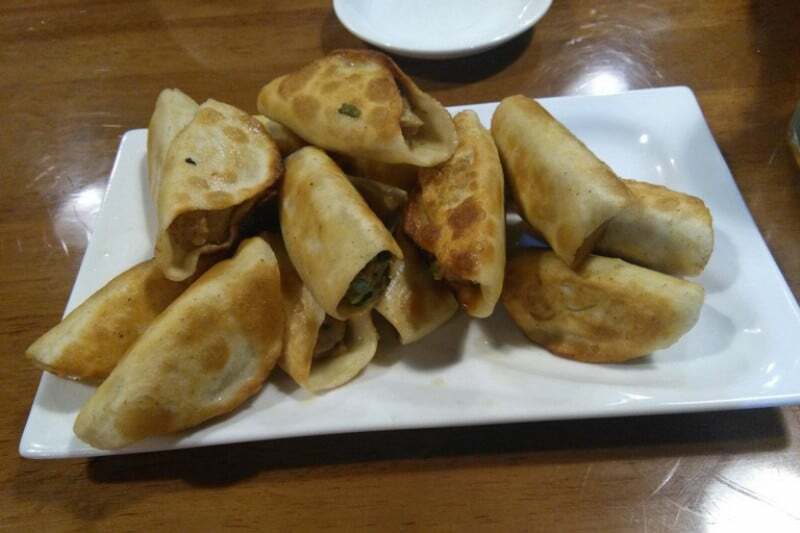 Find a good fried dumpling restaurant and order your favourite filling. Personally I am not a huge fan of the boiled variant of dumplings but these are just delicious. You can get almost anything as a filling – from pork or chicken to cheese or strawberries! So, if/when you come to China, don’t forget the little places, at the end of the busy street or slightly out of the centre. 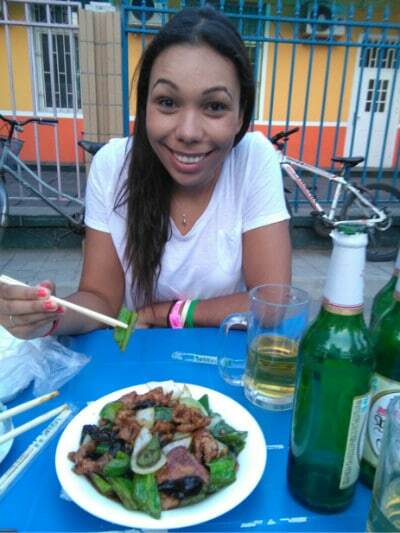 Authentic Beijing food is cheap too, so you can eat out every day and still live here on a budget! You’ll come away with a content appetite and maybe a slightly more authentic experience than you originally planned. If you’re really looking to get to know the cuisine, consider taking a cooking class! There are so many cooking classes all over Asia that you are bound to find a good one that allows you to cook your very own Chinese dishes! These are only a few of the amazing dishes you can get in Beijing that nobody ever hears about! If you have any suggestions or experiences of your own please share with us!! Those skewers looks beyond awesome Kev. 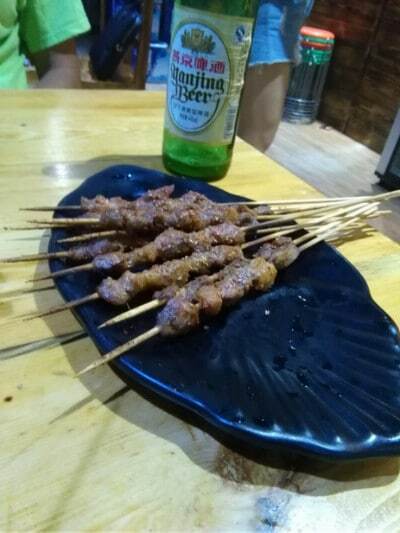 We see BBQ skewers all over the place here in Thailand. Pork is preferred up north here in Chiang Mai but they mix it up sometimes. Of course I go veg here because of all the Buddhist veggie restaurants; not many vegetarians in Beijing methinks 😉 Lovely photos. Hey Ryan, I’m glad they’re not just in Beijing. You’re right to suggest no vegetarians, you’d be hard pressed to find someone who knew what a vegetarian was up here! Next time I’m in Thailand I’ll be sure to compare, if they are better than Beijing then I’m in for a treat. 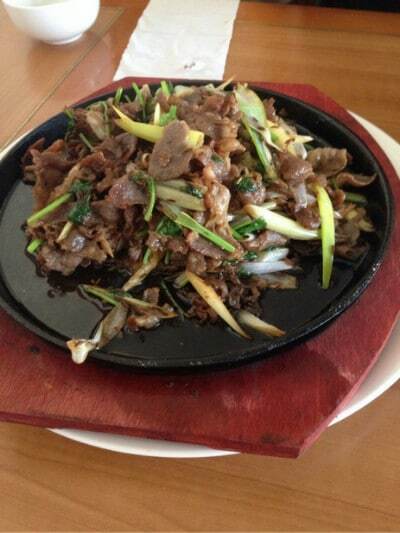 Haven’t been to Beijing yet, but when I go I will make sure to try beef with black bean sauce – looks yummy! Don’t miss the bbq lamb either! !